Ashgabat says December, but New Delhi might be getting cold feet. The announcement confirms the sense of antsiness on Ashgabat’s side. 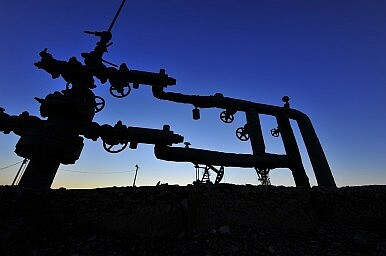 Between sagging hydrocarbon prices and the prospect of an opened Iran as a new competitor to Turkmenistan’s fields, Ashgabat’s window of opportunity for supplying its southern neighbors is fast closing. India knows full well that a buyer’s market remains dominant within gas markets, and that Turkmenistan has boxed itself into a corner with its heavy reliance on the Chinese market. But New Delhi’s new reticence presents yet another blow to TAPI – which, in turn, remains a primary component of the United State’s New Silk Road Initiative in Central Asia. Considering Secretary of State John Kerry’s recent visit to the region saw little tangible outcomes, it seems fitting that one of the primary regional projects backed by the U.S., official rhetoric otherwise, has hit yet another roadblock. Kazakhstan Wants in on TAPIAre Turkmenistan's Pipelines Pipe Dreams?Is Turkmenistan Opening Up?TAPI Pipeline Project Limps Ahead With Ownership Largely Sorted OutWhy Is India Hopeful About Iran and Central Asia?